This Circulon Ultimum slotted turner features a heat resistant nylon head that can be used whilst cooking up to 230°C and is ideal for using with non-stick cookware. 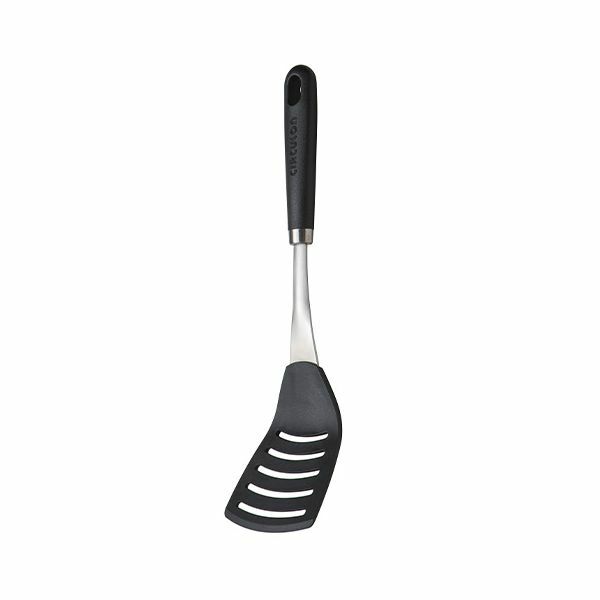 Perfect for turning over fish, slices of meat and omelettes this slotted turner features a ergonomic handle for comfort and better control. The slotted turner is dishwasher safe for mess free cleaning and the handle also features hanging loops for easy and hygienic storage. Great product good quality robust!